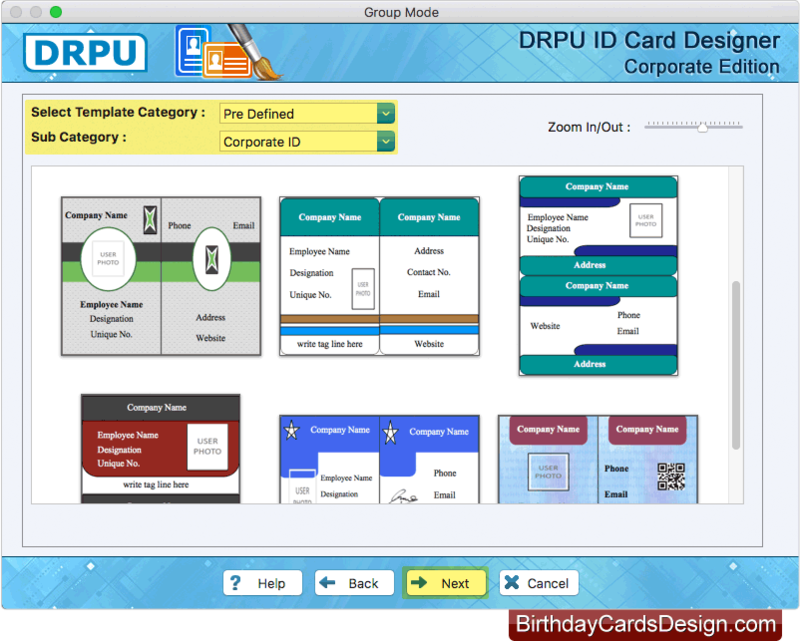 Software has five modules for designing ID cards, choose any one. 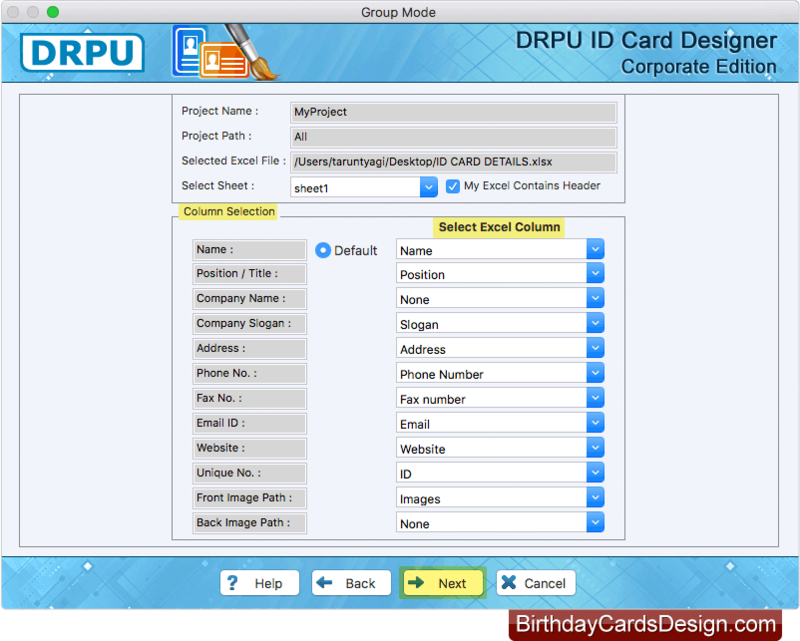 Here we have selected Live Group and Batch Processing Mode for demonstration purpose. You can choose either "Start with new Project" option or "Select existing project" option if u have already designed project. In Case of "Start with new Project", Enter Project name, project path and tap 'Import Excel' button to browse the excel file. 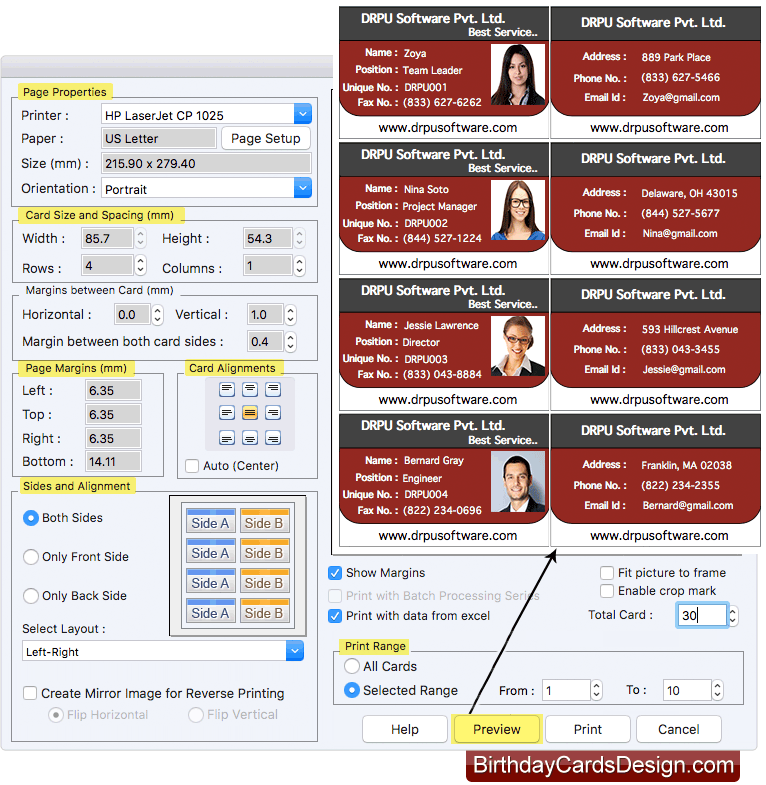 Select template category and choose any one ID card design sample. After selection Click on 'Next' Button. Now Select Excel Column for their respective ID Card Fields. Click "Next" button to proceed. Here, in the left panel, you can see all the details which you have imported using Excel file. Check those boxes next to the label and text, which you want to show on your ID card. You can also update any detail of your ID card and save them. You can update Excel Column and View Excel data. To print your designed ID Cards, adjust all print settings and Click on "Print" button. 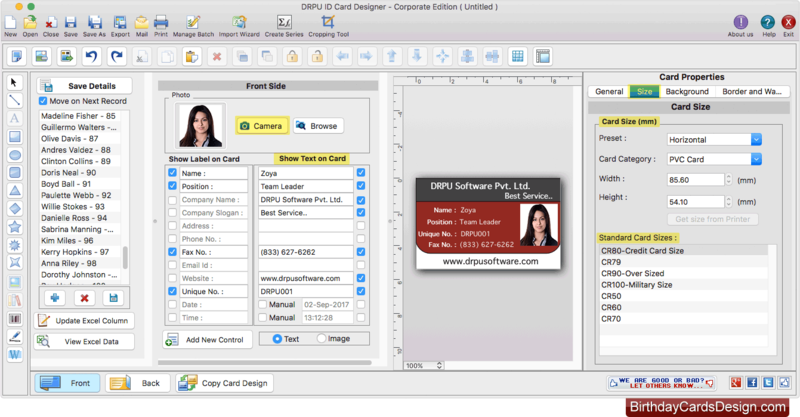 You can also see the preview of ID cards before printing by clicking on 'Preview' button.